At Peninsula Imaging it’s our mission to be the imaging center of choice due to excellent patient care, customer service, and advanced technology. Our facility is located in the Woodbrooke complex off Route 50 East in Salisbury, Maryland. We bring the latest technology, convenience, and superior customer service to the local medical community. Our skilled and compassionate staff will expertly care for you and your family. 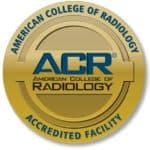 Our on-site Radiologists specialize in all facets of radiology with advanced training in neuroradiology, nuclear medicine, cross-sectional imaging, interventional radiology and musculoskeletal radiology. They will provide your physician with fast accurate reports. Additionally, if your physician participates with our portal access, they are able to view your report and images online.